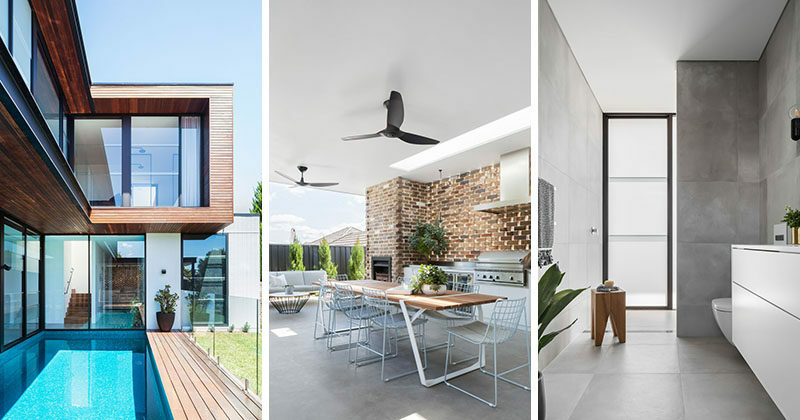 Lot 1 Design together with architectural design firm Sydesign, has completed the Preston House, a light-filled modern home for a family of five, in Sydney, Australia. 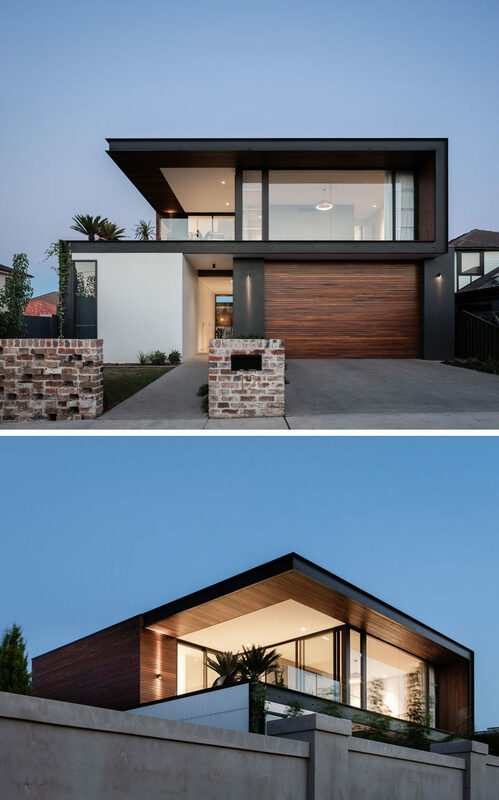 A combination of concrete, recycled bricks, solid timber, and black steel have been used throughout the design of the house. 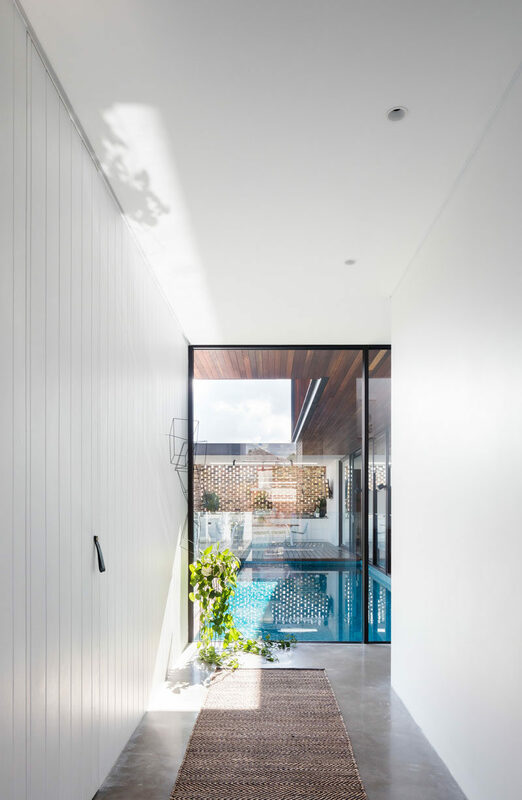 Inside, a hallway with bright white walls leads from the entryway towards the pool and social areas of the house. 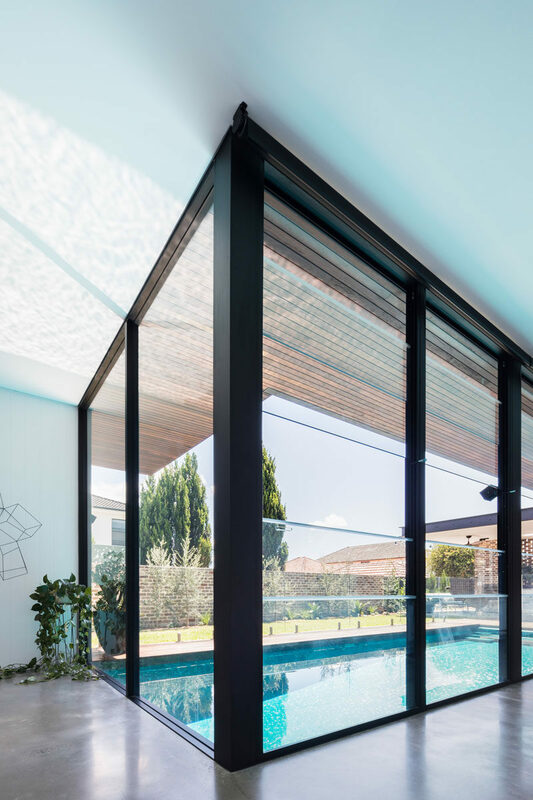 Large floor-to-ceiling black-framed windows provide views of the pool and let an abundance of natural light through to the interior of the home. 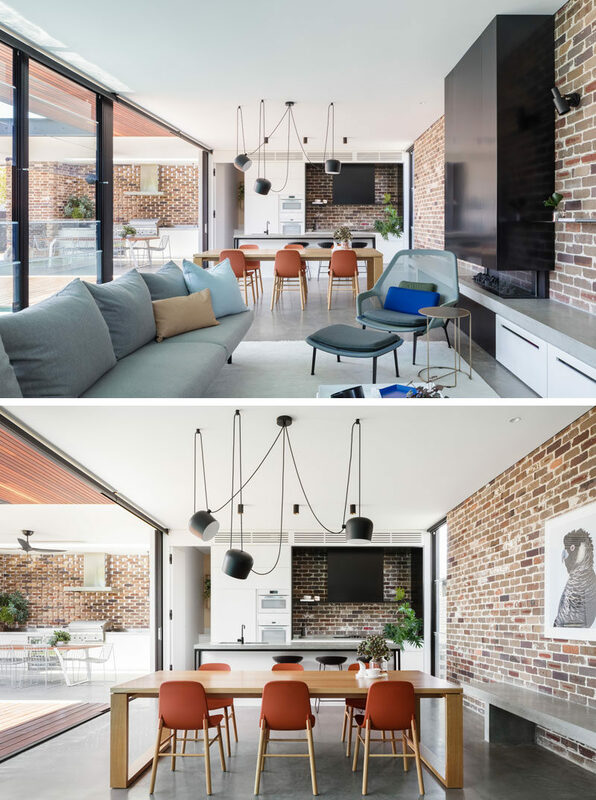 In the open plan living room, dining room, and kitchen, there’s a recycled brick wall that wraps around the room, and provides a backdrop for the black fireplace and concrete bench. 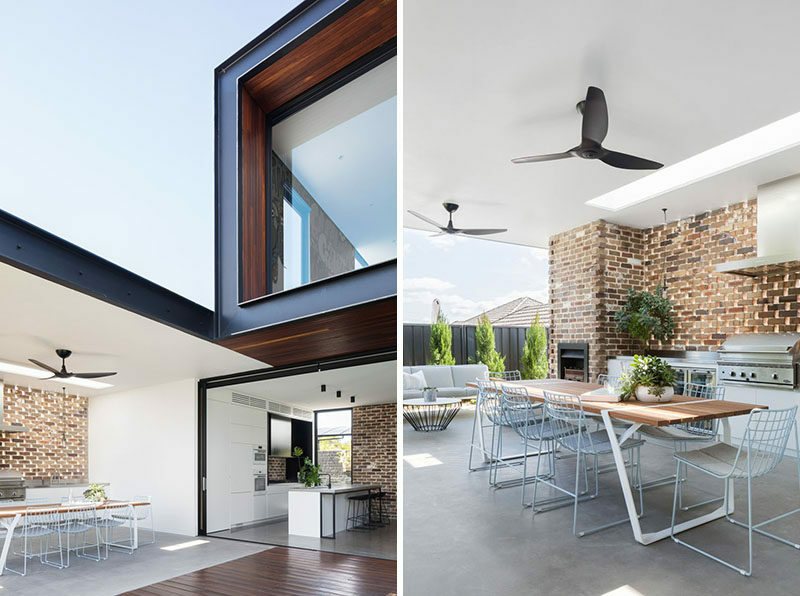 Large sliding doors connect the kitchen to a covered alfresco dining area with an outdoor kitchen. 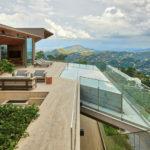 The outdoor spaces of the home are adjacent the swimming pool, deck, and lawn. 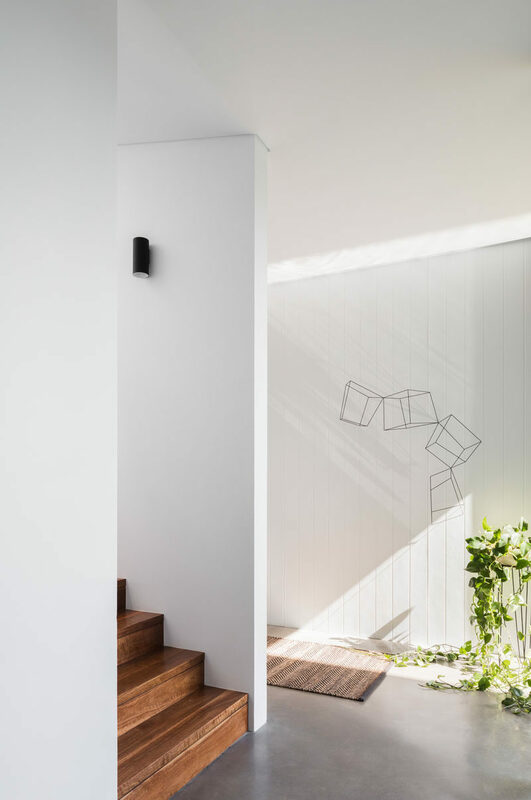 Back inside and by the front hallway, are stairs that lead to the upper floor of the home. 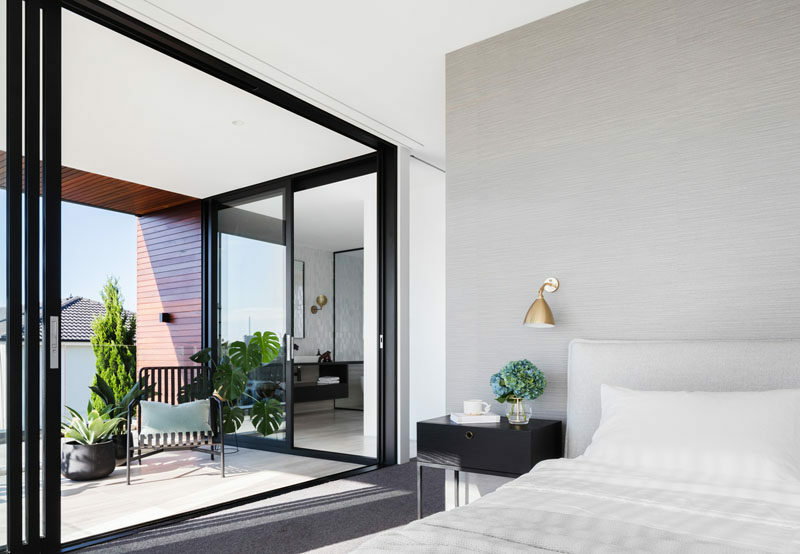 In the master bedroom, large sliding doors open to a private balcony, that also has a second sliding door to the master bathroom. In the master bathroom, black-framed glass shower screens separate the wet areas of the bathroom from the dry. 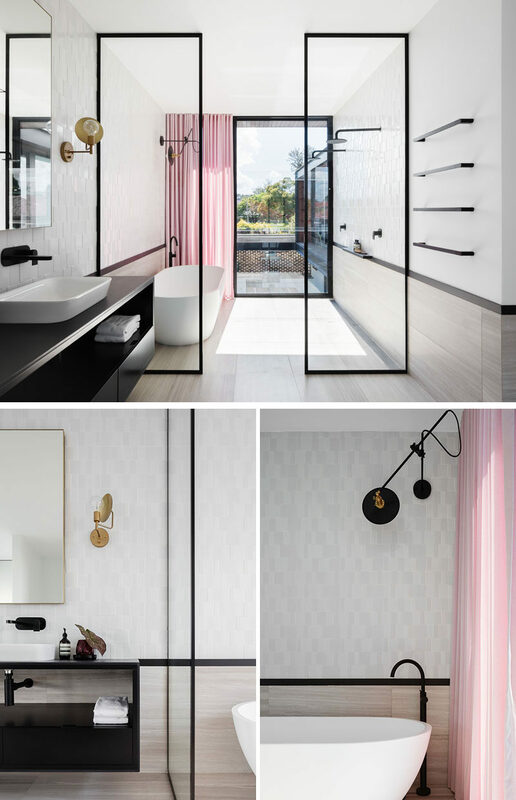 Pink curtains at the end of the bathroom add a soft and colorful touch to the space. 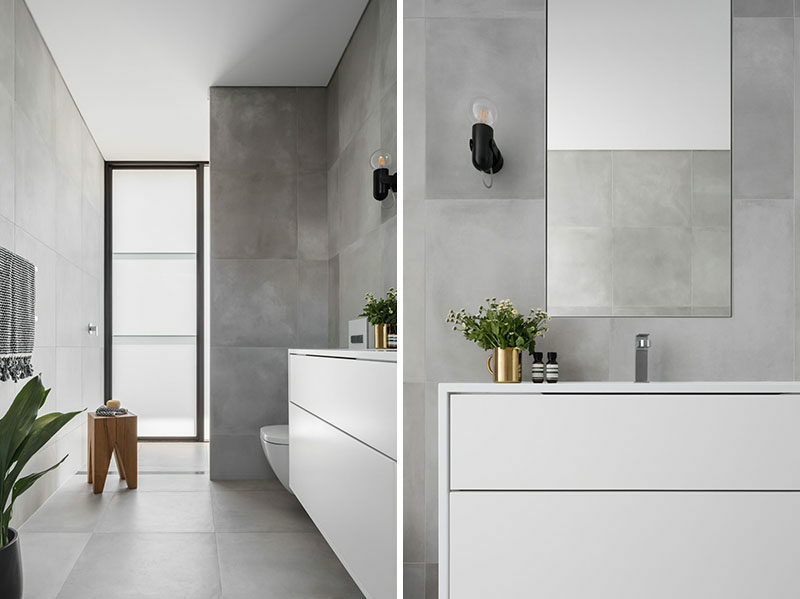 In another bathroom, a simple grey and white color palette has been used for a modern and calming appearance.